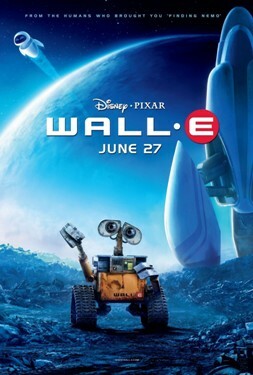 We watched WALLâ€¢E at a Jam movie night tonight. It was notable not for its cute characters or the bizarre character development of robots with AI who follow orders, against the backdrop of recent dystopian visions of AI as spawning Skynet-like futures, but rather in its portrayal of a future humanity wherein consumer culture and obesity/space-induced osteopenia have led to an overly pampered humanity, locked in repetitious existence. “Return to the ground” there means death, by the way — it’s not talking about a return from intergalactic exile! Wikipedia informs us that, in 2007 screenings, “Stanton (lead writer) felt half the audience at the screening believed the humans would be unable to cope with living on Earth and died out after the film’s end.” Certainly the optimism at growing “pizza plants” is misguided and such illusions are likely to be quickly remedied! However, the right state of humanity, according to the the first instruction received, is to ‘subdue’ the earth and depend upon it for our sustenance. Even rebellion against God, the one who gives all life on earth, does not change this intrinsic human need for work. It is not enough to exist as consumptive, passive beings. We are made for work. Indeed, we are made for worship, which is a kind of work (and all work, rightly enacted, serves also as worship of the Creator and King of the world). To suggest that utopia is personal transportation, liquid meals, rapidly changeable fashions, personal servants, and even the abolition of economic concerns, is to ignore an important part of our nature as humans. Sin has corrupted this, and we now idolize work to the detriment of other things more important, and embrace laziness (not rest) as a social norm and even an aspiration. The earth, upon which we were set as caretakers, groans under the curse of our rebellion (Genesis 3:17), and yet still the hunger of billions is not satisfied. Thank God that because of Jesus we can hope for a future that is much greater than space travel, liquid lunches, freedom from financial concerns, and robotic assistants and personalities! Because of what Jesus has done on the Cross, we’re able to come freely to our creator, sustainer, and king, without fear and with a hope for eternity.